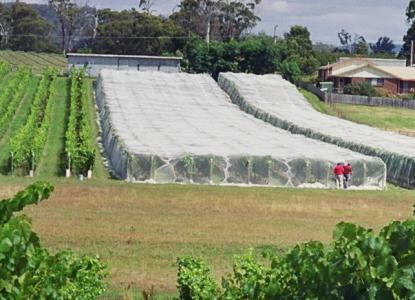 Happy are those vignerons,berry growers and orchardists who don't have to protect their crop from birds. Unfortunately in many fruit growing areas, steps must be taken to keep these little foragers at bay or 90% plus of the crop will be eaten or damaged. 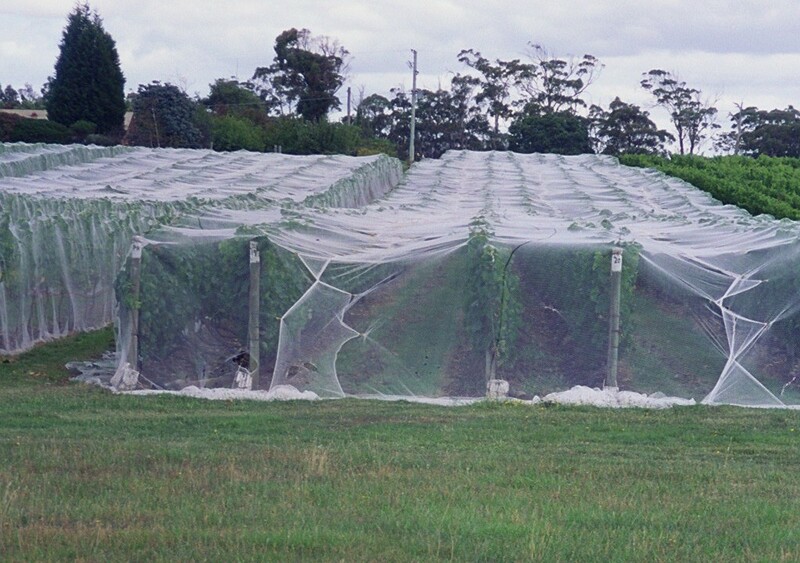 For nets to be effective, they must be installed correctly to provide an impenetrable barrier. 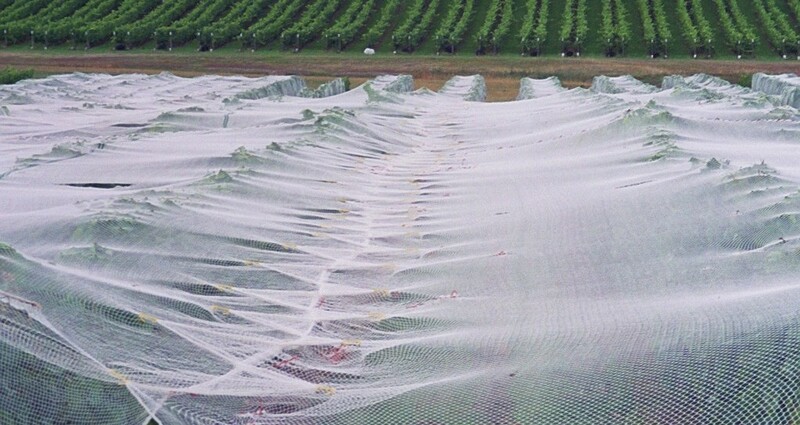 This can only occur if your nets are joined in such a way so as not to leave any gaps. 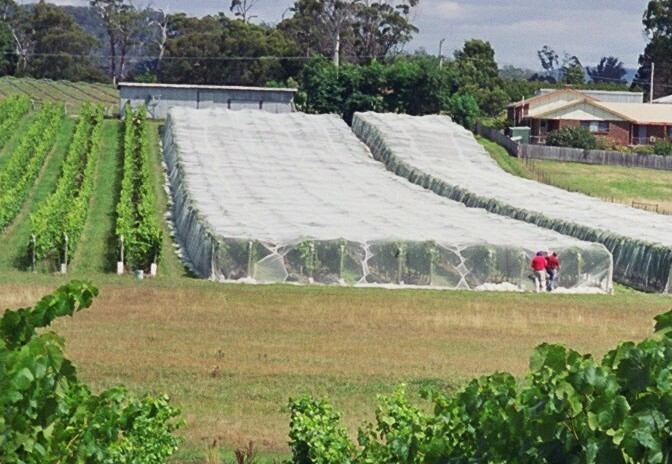 Using the Net Clip in conjunction with a method referred to as the Rowella Twist, this impenetrable barrier can be achieved quickly and easily at low cost. 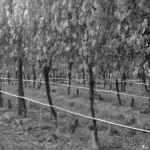 The Rowella Twist is a method of alternating over and under 'plaiting' of the net edges and fastening with the Net Clip as shown below. 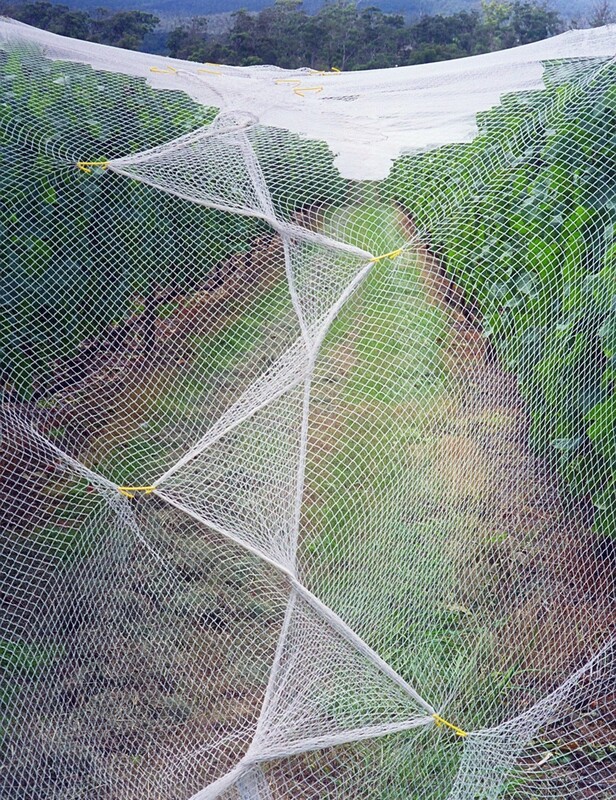 The end result is a tight, bird-prrof seal between nets. 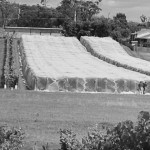 The Net Clips need to be every metre or so, but this is done very quickly. 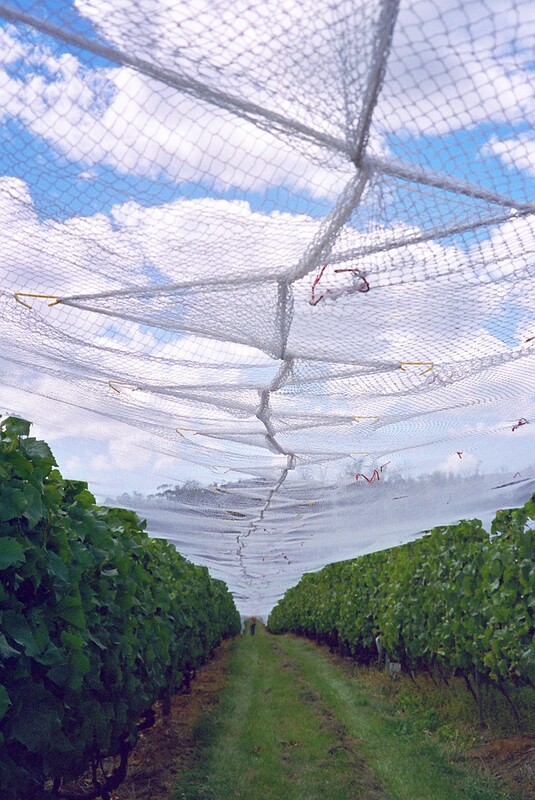 The Net Clips are made from Safety Yellow long life polyethylene for easy visibility in the net or if dropped on the ground. Can be made in other colours to order eg; green for military use. 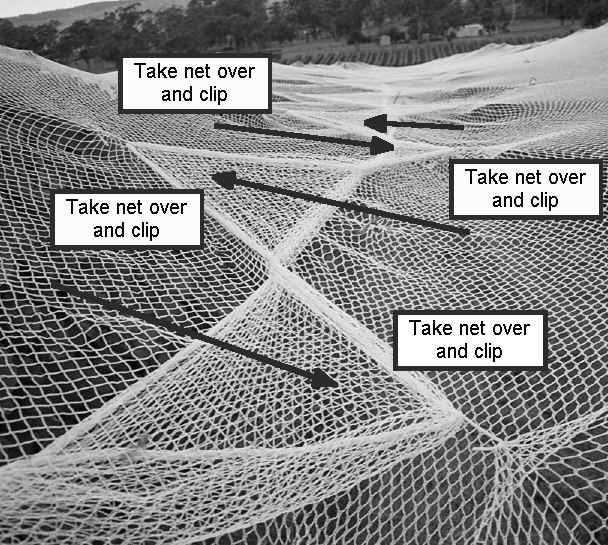 The Net Clips are easy to install and just as easy to remove when dismantling the nets. 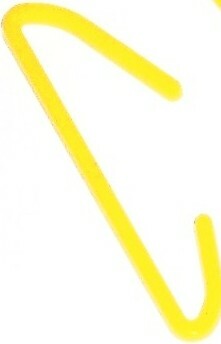 The Net Clips are reusable. 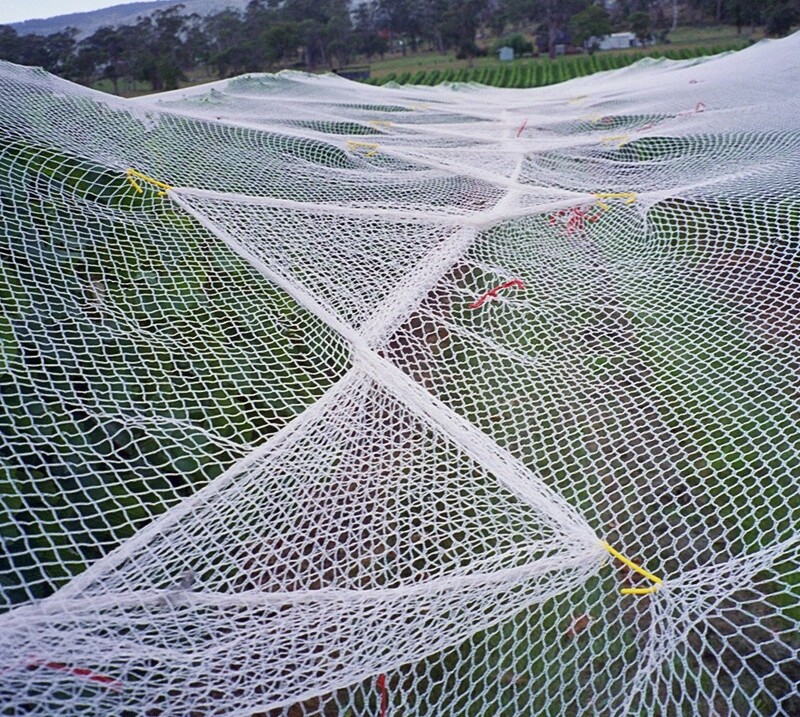 The Net Clips can be used to enclose fruit trees or to anchor the nets to a ground line wire. 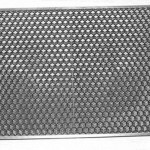 Many hours will be saved on net erection and even more on net recovery as there is no need to untie or cut the Net Clips from the nets therefore nets do not get damaged.